Read an excerpt from the book (PDF format). Plash & Levitation delves into the chaotic sublime of fatherhood, the candid revelations of youth, and the lingering consequences of history. Adam Tavel’s revealing and imaginative poems are joined by fictional monologues from historical figures and cultural icons, juxtaposing personal history with our shared one. Civil War general William Tecumseh Sherman and rock legend Keith Moon are joined by musings from the Redskins logo and the Wolfman. Together they create a lively chorus that clashes and soars. The result is forty-two fascinating pieces that are witty, consistently musical, and undeniably powerful—the perfect inaugural selection for the Permafrost Book Prize. 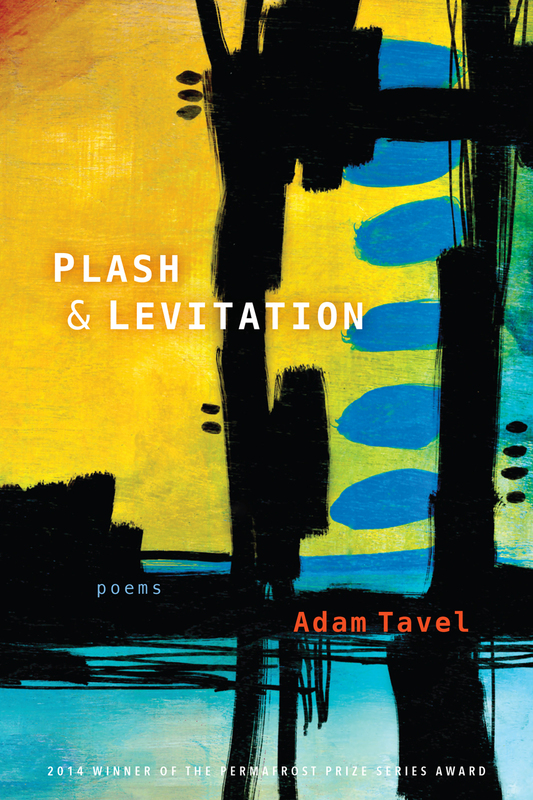 "Tavel’s Plash and Levitation, as the title suggests, attacks with sardonic lancets. Humor, erudition and a witty talent for sheer invention set this volume apart." "Tavel belies his young age with an amazing group of poems in Plast & Levitation. They offer a mature depth of psychological insight and quality of language that tell the reader here is something new." "Tavel’s book is a playful arrangement of grittiness and grand inquiry. It's a collection powered by voice and framed by referentiality; think Tom Waits reading the part of Prospero. . . . This is a collection with a loose, mobile center. . . .Tavel is more interested in breadth and dissonance than unity, allowing the reader to bounce around the collection’s winding hall of mirrors, often reflecting fatherhood and frailty, and it's very enjoyable. . . . Plash and Levitation reads as a daring collection of poems that pushes forward. It's smart and edgy, an impressive first book from a poet with a truly unique voice."